If you are in the market for a small form factor desktop mini PC you might be interested to learn that the Zotac ZBOX has been upgraded to now offer Intel i3 and i5 processor options to customers. The new addition to the Zotac ZBOX range follow on from the launch of the Intel Core i3 chip Zotac ZBOX introduced earlier this year. The highest spec Zotac ZBOX model is equipped with a 2.9 GHz Intel Core i5-3470UT dual-core processor, Intel HD 2500 graphics, HDMI and DVI video output, and Gigabit Ethernet. Together with a SDXC card reader, 802.11n WiFi, Bluetooth 4.0, optical S/PDIF audio, 2 x USB 3.0 and 2 x USB 2.0 ports. 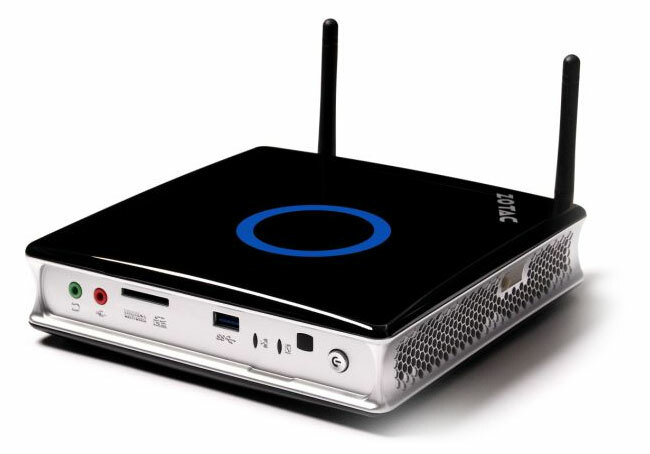 The new ZBOX ID89 Plus i5 model featuring 4GB of RAM and 500GB hard drive is expected to sell for around $519.